Earlier this year, Google announced its plans to bring Android Auto, its phone-centric in-car infotainment platform, “to every car” by launching it as a stand-alone Android app, too. It’s taken a while, but the company today launched an update to the Android Auto app for — well — Android that makes good on this promise. Even if your car isn’t Android Auto compatible, you can now get all the benefits of Android Auto without the cost of a new mid-size sedan. So what’s the point of that? 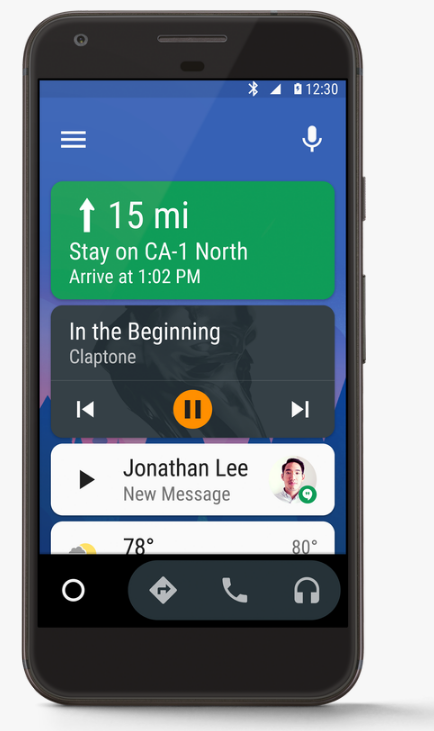 Android Auto on the phone provides you with a simplified interface that combines directions, music, and incoming messages into a relatively distraction free experience. That’s essentially the same interface you would see on an in-car display with Android Auto support. Android Auto works with popular apps like Spotify, Pandora, Google Maps and others. Like all things Google, the app will also soon let you use “Ok Google” commands to use directions, send messages and control your music. One smart thing Google has done here is given users the ability to automatically start the app when the phone is paired with your car’s Bluetooth network. The Android Auto app is compatible with any phone that runs Android 5.0 and newer. Google says the update will roll out to users in more than 30 countries over the course of the next few days, so if you don’t see it yet, don’t despair and buy an Audi A6 just so you don’t feel left out.